Make sure 2018 is a stylish year for girls and boys -refresh little wardrobe with ALALOSHA'S top picks of the new season from Gucci kids. 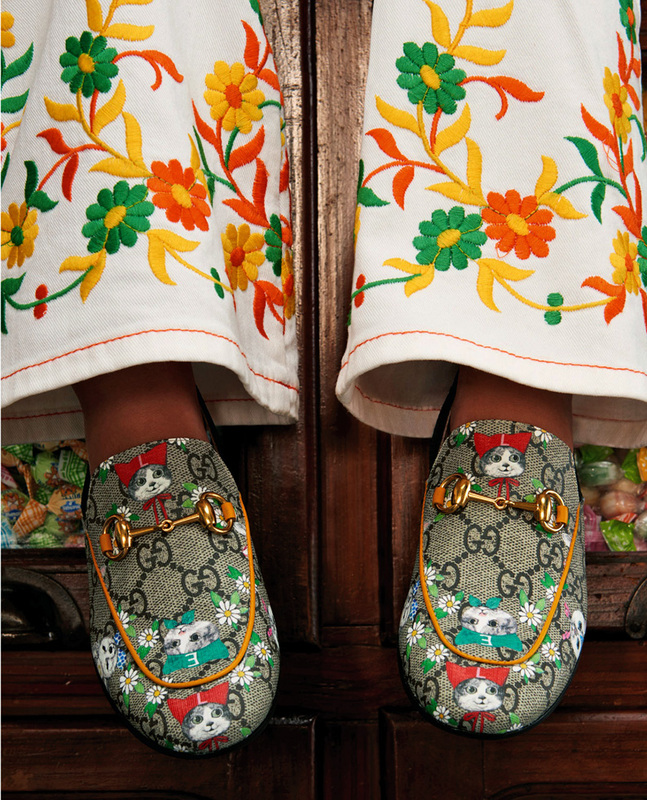 Loved for its lavish Italian styling, Gucci Kids is the go-to label for the next fashion-forward generation. 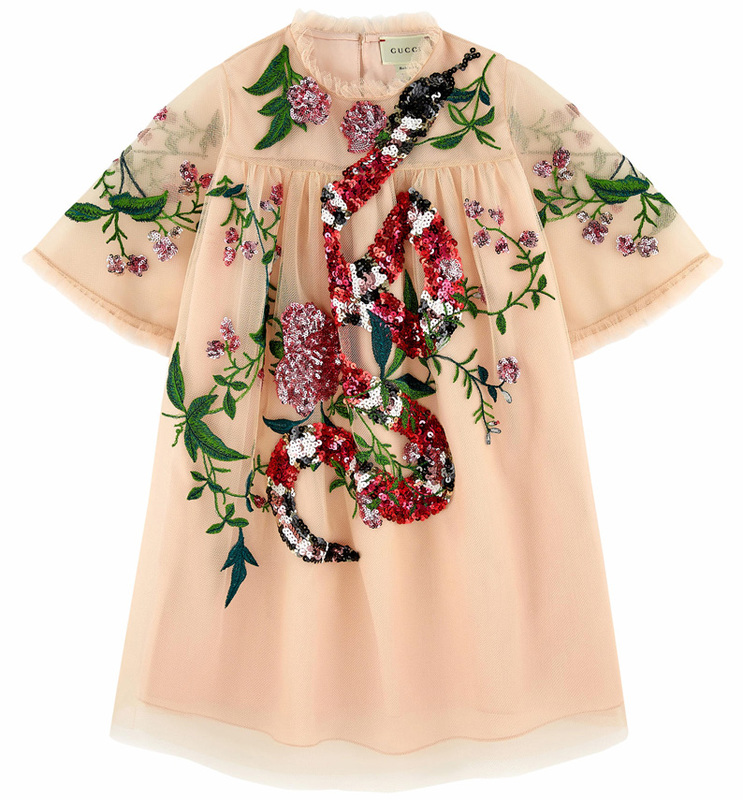 Expertly crafted in Italy, this pink dress from Gucci Kids features a round neck, short sleeves, tulle panels, an embroidered design and a back button fastening. Beige/ebony GG Supreme canvas, a material with low environmental impact, with Gucci pets and flowers print-a design by artist Yuko Higuchi. Cotton voile lining. Gold glitter dots print off-white silk organza. 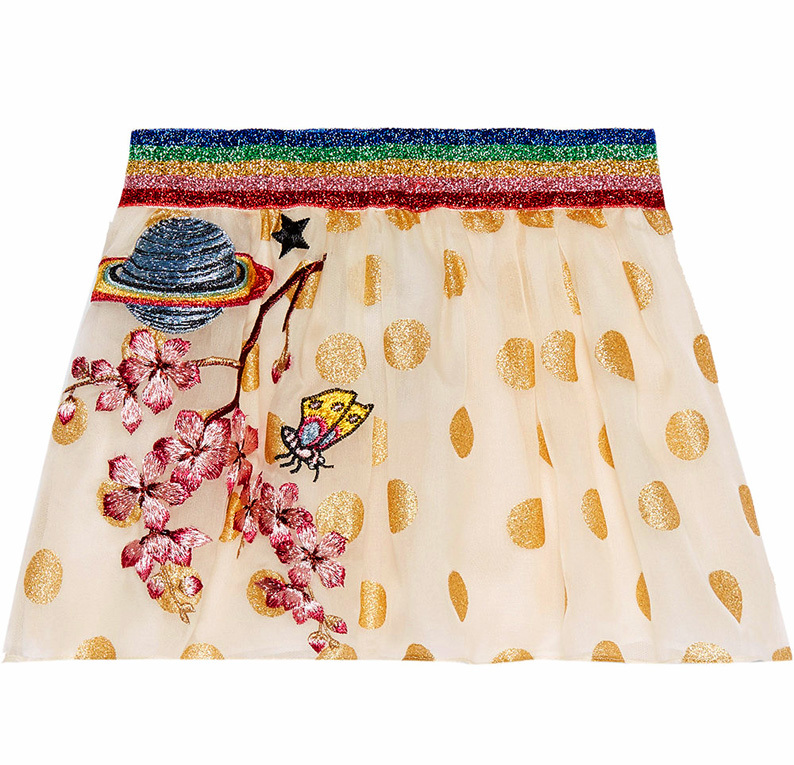 Rainbow lurex striped elastic waistband. Planet, butterfly and flowers embroidery. 100% silk.